Improving the efficiency of a country’s freight transport system is vital to the ongoing health of its economy. Ensuring clean air is vital to the ongoing health of its citizens. Traditional methods of moving freight are confronted by competition from organizations across the globe, as well as global calls to reduce emission levels. Every jurisdiction needs to stay ahead of these demands to remain viable and competitive. In the United States, the State of California for example, is the largest gateway for international trade and domestic commerce. Its interconnected system of ports, railroads, highways, and roads allows exported and imported freight to move through the state and throughout the nation. In today’s terms this system is responsible for one-third of California’s economic product and jobs, with freight-dependent industries accounting for over $740 billion in gross domestic product and over 5 million jobs. These are heady numbers for a well-designed network, yet California’s freight transport system is under pressure and must adapt for the times. The California Sustainable Freight Action Plan, released in July 2016 establishes the framework for modernizing California’s freight transport system in a manner that improves safety and reduces pollution. California’s freight transportation system generates a high portion of local pollution in regions with existing poor air quality. Reducing diesel created air-borne particulate is an important local, regional, and State priority, as well as a matter of compliance with the federal Clean Air Act. California has also recently set new, aggressive targets for reducing greenhouse gas emissions 40 percent below 1990 levels by 2030 in order to combat climate change. Reducing emissions in the freight sector is critical to meeting these 2030 targets. This scenario for reducing CO2 emissions in freight transport is happening in many jurisdictions around the world. Local and regional groups, such as port commissions and metropolitan planning organizations are also taking action to improve freight operations globally. 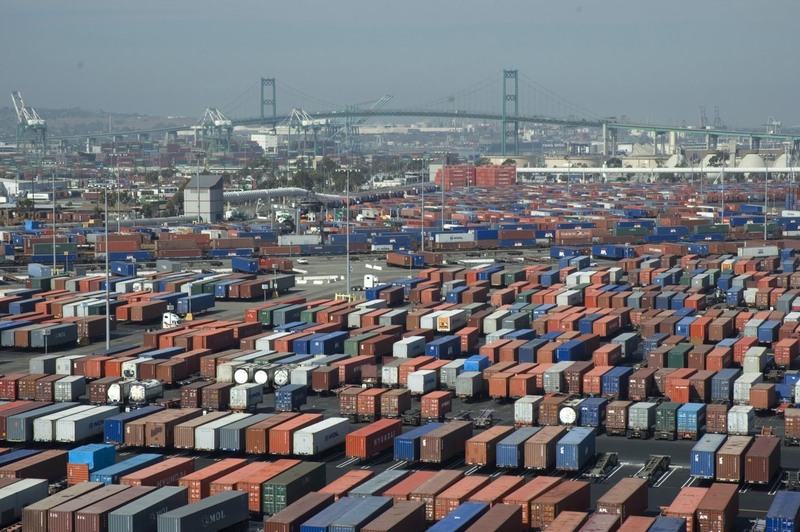 Large ports have adopted certain clean air initiatives while many regional planning organizations have adopted regional freight plans that prioritize infrastructure improvements. Reducing freight emissions with programs will involve strategic partnerships and well-planned investments around deployment of new technologies and major infrastructure upgrades. Near-term efforts must integrate new technologies that are commercially viable, and help promising technologies become commercially viable. In most instances, the deployment of this plan rests on the development of zero emission heavy-duty vehicles capable of replacing diesel-powered trucks in a one-for-one swap. Route flexibility and availability are determining criteria in the design of these vehicles. Fuel cell electric powered trucks are fast becoming one solution for this paradigm shift in the evolution of commercial vehicles.It seems that battery power alone simply won’t work -- the battery weight reduces the available payload, while a hybrid fuel cell powertrain will deliver expected vehicle performance without compromising load capacity. Certainly a lot of work needs to happen to achieve these goals, but the framework is being established. Change isn’t easy, but once it is made, the entire community benefits. From concept until delivery of the final product to the end customer, Ballard supports commercial vehicle original equipment manufacturers in the acceleration of fuel cell product development and deployment efforts. If you are interested in Ballard's technology solutions, click below to download our latest white paper that outlines how we are developing zero emission freight vehicles. New White Paper: Ballard's Development Plan for Building Fuel Cell-Powered Transport Trucks & Freight Equipment.